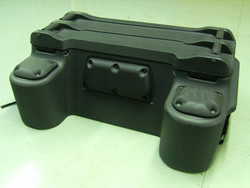 Hard luggage box with back and arm rest. 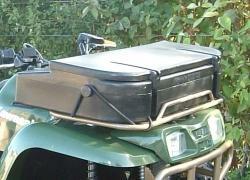 Can carry 2 crash helmets. 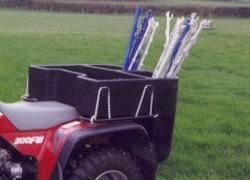 Can be fixed to the rear rack by strapping or bolting. 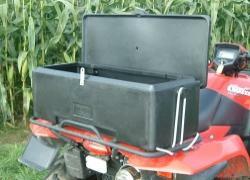 Along with the Dry box the Tool box is specifically designed to fit on the front frame of your ATV. 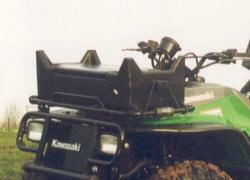 The low lines allow the rider excellent visibilty while the "wrap around" style maximises space. 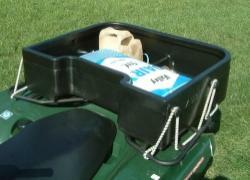 The lid hinges forward to provide a useful tray for dropping tools onto. Fully waterproof. Complete with 12 Month "No Quibble" Guarantee. 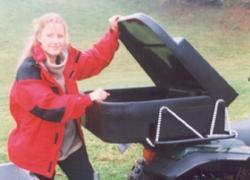 Designed to fit the Quiver and Trunk box, the large lid can be fitted or removed without the use of tools. 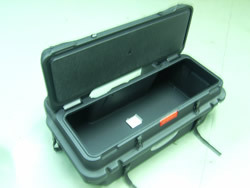 It has an in-built compartment with a 2" lip providing storage capacity and a safe spot for the dog!